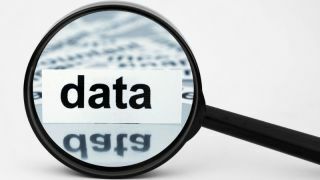 Is your organisation making the most of its data? According to LinkedIn, data scientist is the second fastest-growing profession in the U.S. While there’s a 650 percent growth rate in available roles, the pool of qualified professionals is still relatively small. Considering that only 35,000 U.S. workers have data science skills, there’s a tremendous opportunity to carve out an ideal career path. Data is produced in immense quantities across all sectors, but many people simply don’t know what to do with this wealth of information. To make the most of this mountain of data, data scientists have begun to work together to become stronger and figure out how to move the field forward. As such, data science is built on the premise of collaboration. Open-source libraries like OpenCV have become relatively commonplace, and some of these self-service options are actually more useful than more expensive pay-to-play services. Entry-level data science jobs can now be done by virtually anyone. For a data-driven executive looking to pick up a competitive advantage, deploying data science is easier than ever before, and it will only continue to get easier. The greater accessibility of such advanced tools and techniques means that the value of data scientists is changing as well: Tasks once reserved for trained statisticians can now be handled by ambitious young professionals with a passion for data science and a willingness to learn. Even now, with only a little bit of training, a new employee could build a machine learning model and set it to work on a company’s data. But for businesses truly seeking an edge, this kind of data analysis only skims the surface. To develop a true data strategy and put it to work for a company, trained data scientists still have a lot to offer. The digital universe is expanding at an exponential rate, doubling in size roughly every two years. By 2020, analysts predict that there will be 44 trillion gigabytes of data online — nearly as many gigabytes as there are stars in the universe. Much of this data surge stems from the growth of smart devices, which create and transfer data around the clock. Whether we like it or not, we’re submerged in data from all sides. Almost every function of a business either relies on or produces data, and the companies who can put that data to use will quickly separate themselves from those that cannot. While newly developed tools can make data science simpler, they still require trained professionals to harness that power. Anyone can now use data science techniques, but businesses benefit the most from data scientists who have deeper understandings of how those techniques work and what their value is. This problem isn’t unique to data science. Photoshop is an incredibly powerful platform for editing images, for instance, but the software is useless without a skilled person behind it to realize its full potential. Even basic software like Excel and PowerPoint takes on a whole new meaning in the hands of a professional. Without making the most of your data, you could wind up sinking resources into misguided efforts based on “instinct” rather than real data. It’s the equivalent of not tracking your company’s finances or organizing your inventory. If your data is strewn all over the place, you could miss out on potential clients and revenue. To institute a culture that respects and utilizes data science at your business, you need culture leaders — and here, again, is where trained data scientists can lead the way. Because they understand these tools and techniques deeply, they can better communicate their value to the organization. Data is constantly evolving, but truly successful data scientists are the ones who are able to keep pace with the industry. While machines and software are able to prepare and analyze data before visualizing insights, a data scientist is necessary to identify pertinent questions and interpret the results to craft the right solutions. Think of data scientists as the translators between data and your company. There’s no way to sugarcoat this: The rules of business have changed, and so must the players. You wouldn’t run your company without at least some internet component, and data science is the next big technological shift. AT&T has seen the writing on the wall, and the company partnered with Georgia Tech to launch a program focused on analytics. Right now, data science is like what iPads were like 10 years ago. Back then, nobody knew what an iPad was or how a business could use one; now, companies often give each employee an iPad for company use on his or her first day. Data science is already a necessary function of forecasting and business diagnostics. It’s difficult to know where you are or where you’re going without the proper data to back things up. Business intelligence is the engine that will drive your company, but it’s impossible to accomplish without a trained professional available to gather the relevant data and present it in a digestible manner. Without a means of analyzing data, your company will lack important information. A new software platform can certainly help, but you’ll also want a team member who’s capable of using that software to translate your data into actionable insights and correctly communicate what you intend to do. An in-house data scientist can better prepare your company to take advantage of these changes, but he or she must stay on top of industry trends to remain relevant. If you don’t already have someone on staff, it's perfectly viable to hire someone who has a passion for data science and train him or her up in a relatively quick manner. Data scientists are in demand for a reason. It’s time to either recruit someone with the skill set your company needs or find a way to train an existing employee to make the most of available data. Right now, because innovation has been moving faster than businesses can keep up with, companies who adopt robust data science teams and strategies have the chance to shape how the industry will develop moving forward. But failure to jump on the data bandwagon could hamstring your company and cause you to lose out to competitors — so don't think twice and get going.